In this show, you can Bone up on Muscles. When you clicked on the Nye Labs web site to read this, you used your bones and muscles. Without them, you can’t click, surf, or even sigh. Bones and muscles work together, or you aren’t going anywhere. Muscles always pull, even when you push on something like a door somewhere in your body your arm and leg muscles are in tension. They are all attached to bones, and those bones are pushing; they’re in compression. By pulling on bones you can breathe, talk, and move all over the world. Your bones support your weight like beams of steel or wood. They’re stiff and strong. Rigid as they might seem though, they do flex. And, if you bang one hard enough, it swells up. You have a lump. That’s because bones are full of blood vessels. Bones are not solid like rocks or skeletons in a dinosaur museum. Bones flex and grow. In fact, putting healthy amounts of stress on your bones is good for them. The flexing helps them get nutrients and stay strong through your whole life. Your muscles are bundles of fibers. As you use your muscles, the fibers absorb nutrients from your blood. If you work your muscles hard, your muscle cells absorb extra nutrients and they grow strong. Bones and muscles let us push, pull, breathe, and dance. Go flex your muscles. You’ll know it’s good for you; you’ll feel it in your bones. 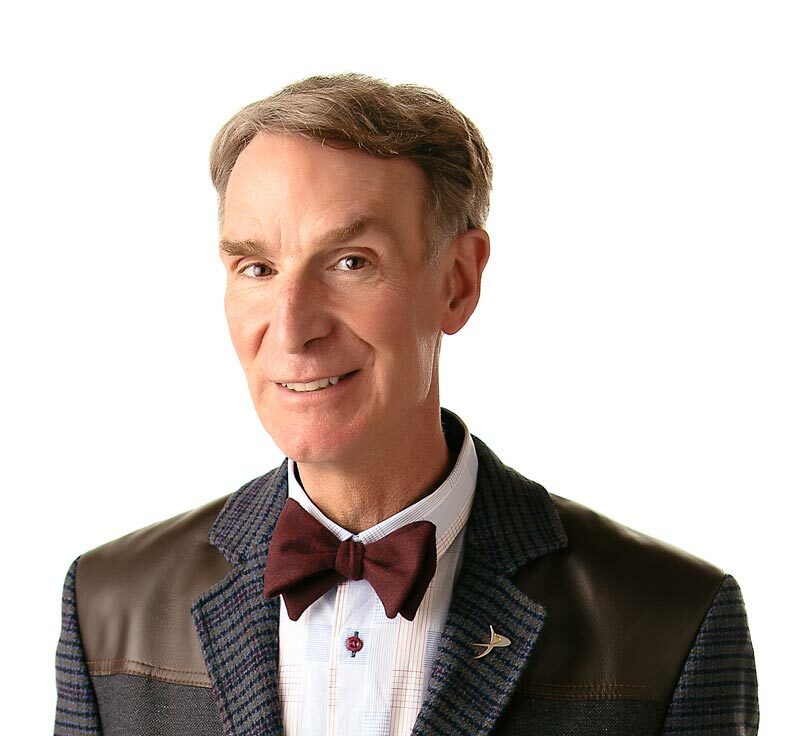 Bill Nye uses his bones and muscles to pull you into this show! Bones and muscles can be strengthened through exercise. Your muscles get their signals from electricity that runs through your body? All of the cells in your blood are made in your bones? As babies we have 350 bones; they fuse into 206 as we grow up?